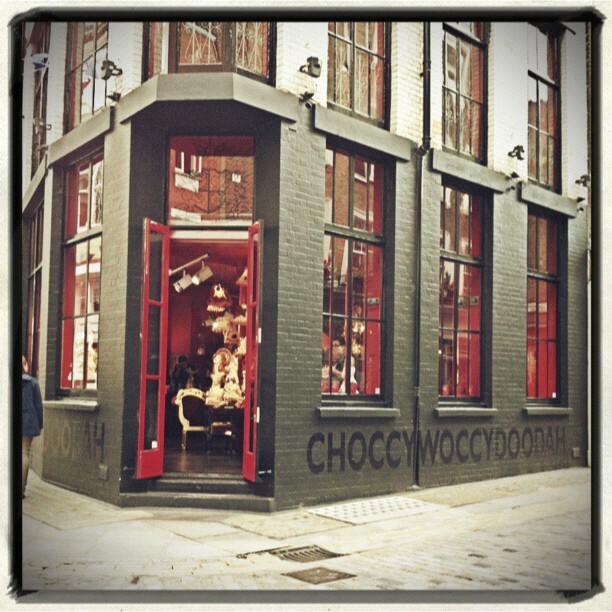 Yes, you really did read that right, there is a place called Choccywoccydoodah and it's amazing! Sammy and I have been to the shop in Brighton and London and we love all the amazing Chocolate sculptures they have. Yes, because these are just not cakes, they are sculptures in their own right! The original store was in Brighton and it gave us a great excuse to visit, but the London store does make it a little easier for us. I am not sure whether that is a good thing or not! he, he. So, I thought it only right to make it the link of the week this week. We are hoping to go to the cafe in the London store, as they only added it late last year. The trouble is there are too many things on offer, how are we meant to choose! Back, to the store. You can buy some of the cakes on offer or have your own made - for a fee of course. There are also lots of chocolates on offer, for those who prefer a bit of chocolate to cake. There are giant jazzies, right through to chocolate blocks. See, there really are no excuses not to go. When we do go, of course there will be a post about it, so don't you worry about that. Have you been, let us know what you think in the comments below. I totally agree Alice, They are mini sculptures in their own right and almost seems a shame to eat them!